The adage, “you are what you eat,” is true. The condition of your body is a direct result of the type of food that you consume. Keeping your cardiovascular system healthy is critical to a long and healthy life. Trading high fat, sugar, and sodium diets for a heart healthy diet, rich in fruits and vegetables, whole grains, low-fat dairy, fish, nuts, and hormone-free poultry, is essential to eating your way to a healthy heart. Here is a list of foods that you can now add to your shopping list today to start eating your way to a healthier heart: salmon, almonds, asparagus, dark chocolate, red apples, green leafy vegetables, extra-virgin olive oil, blueberries, avocados, walnuts, garlic, oatmeal, red wine, flax seeds, green tea, chia seeds, broccoli. For more information on the American Heart Association’s dietary guidelines, visit: https://www.heart.org and always discuss any dietary or lifestyle changes with your physician. 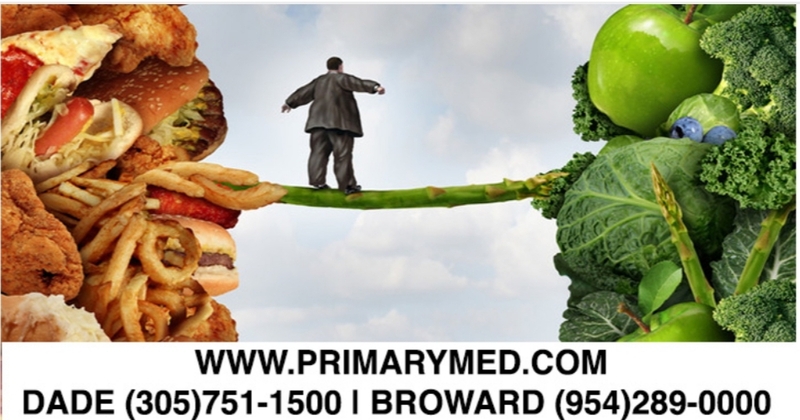 You may make an appointment or walk-in to one of our convenient Miami or Broward, Primary Medical Care Center community clinics to see a healthcare provider to discuss your personal options.